Copyright: Each entrant grants to COMPAS an irrevocable, non-exclusive, royalty-free, worldwide license for the full period of copyright to publish or otherwise use the entry in so far as is relevant to this specific competition in any way and at any time and to sub-license such rights to any third-party. 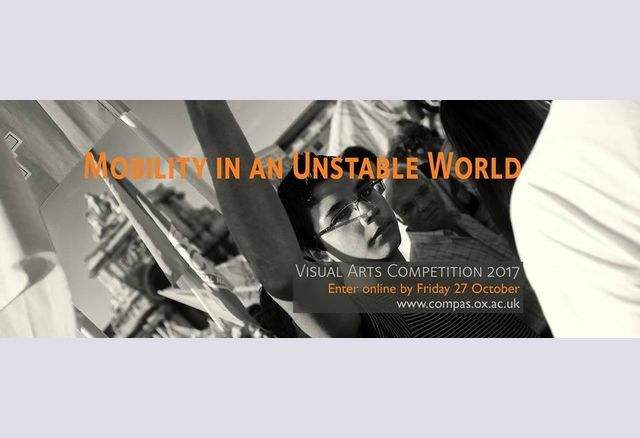 COMPAS will use reasonable efforts to assert the entrant’s moral rights in the photograph. Ten runners-up will be awarded £50 each. Enter photos and illustrations exploring migration in a world where societies and governments are facing dramatic shifts and challenges. Images can be anything from a symbolic illustration of the changing attitudes towards migration, to a personal depiction of moving to a new place. Online submission of digital photographs by email. Judging criteria: high quality, good composition and contain strong imagery.